The 30th Jack Cochran Handicap Tournament will be held on Tuesday 11 December 2018 at the Kingsley Park WMC commencing at 7.30pm prompt. All paid up members of both Chess Mates Northampton and Northampton Chess Club are invited to take part. 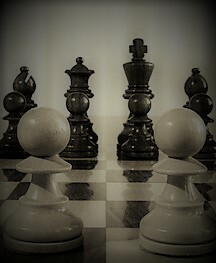 Northampton Chess Club have secured promotion to the Bedfordshire Chess League by gaining the Division 2 title.